The last two decades have ushered in the rise of the sports memorabilia industry in a way no one could have possibly expected. 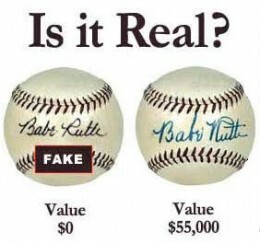 The sports memorabilia industry is now a thriving multi-billion dollar global affair that continues to grow at a staggering pace year after year. With this success has come a whole new generation of sophisticated counterfeiters determined to cash in by any means necessary.